Forums » Public Forums » Vanguard Discussion and Questions » Anthem - When/How can YOU play? With the release of Anthem upon us, you might be wondering how and when you can play the new online action RPG from Bioware. Fear not, for that is why we are here! When can I pre-load Anthem on PC? Anthem is available to download. Download size is ~51GB on PC. When can I play Anthem on PC? If you pre-ordered Anthem from Origin, or any online retailer, you should be able to play Anthem On February 22nd, at 0:00 ET. 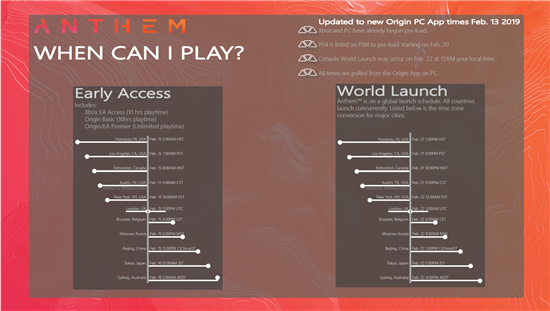 If you are an Origin Access Basic Member ($4,99 Monthly), you will actually be able to play for a total of 10 hours starting February 15th, at 10:00 AM ET, 4:00 PM CET. 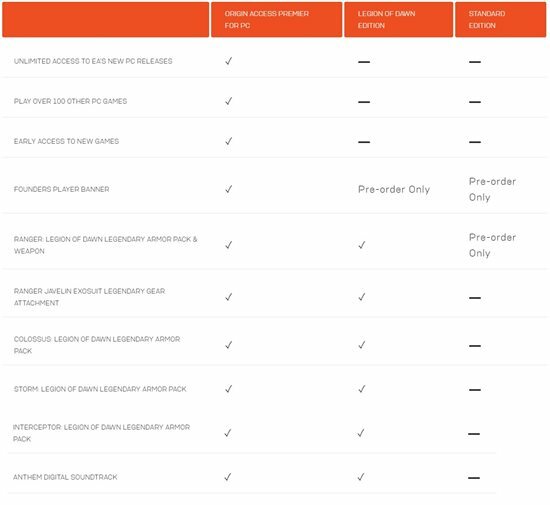 If you are an Origin Access Premier Member ($14.99 Monthly), you will be able to play the full game starting February 15th, at 10:00 AM ET, 4:30 PM CET. Where can I play Anthem in TAW? In our very own channels. Vanguard has recently started our very own Anthem Division, which is located in Horizon, under Vanguard. You are welcome to join those channels, to both find a group to play with, or play with your respective group from your Division. 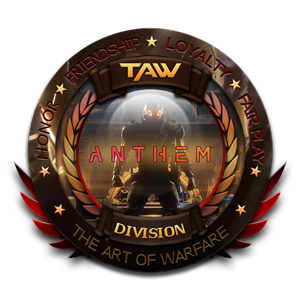 This will not only help you find new people to play with, but also help the Anthem Division as well. How can I get Origin Access? You can use the Origin Launcher to get a subscription. You can opt in for a monthly or yearly subscription, and for either Basic or Premier. Bear in mind, only Origin Access Premier gives unlimited access on the 14th. Basic will allow up to 10 hours of game time. Also, if you are a member of either, you can refer up to 3 other friends for FREE, to enjoy Origin Access Basic for themselves. That will allow them to test out Anthem, as well as any other games in the Vault. Believe that is all you need to prepare you for now Freelancers! Keep an eye out on the TAW website for news about a launch event coming soon! For most people the launch day will be 2/22 like normal. Those with Xbox's EA Access or EA's own Premier program will have it in 4 days. Post updated to reflect *correct* launch times, unless they change again?? According to my Origin file size, it's 51gb on PC. I remember the pre-load size was at least 45gb+.